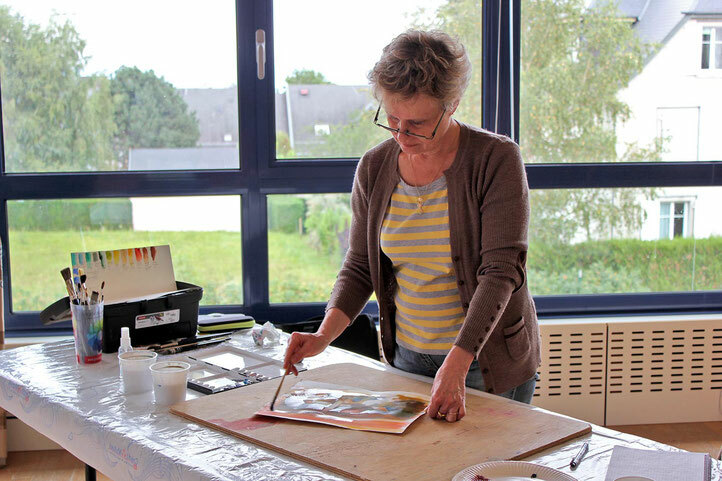 I am a self-taught artist located in France, in the beautiful region of the Loire Valley, full of wonderful villages and famous for its monuments. First, I was a photographer but was not satisfied as I wanted to render the mood of the landscapes. And now I am always looking for the emotion in my painting. I think this is the goal to reach. Watercolor is an unpredictable medium allowing emotion.